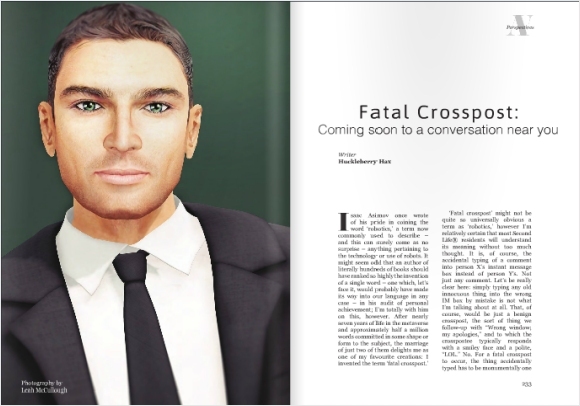 ‘Fatal crosspost’ might not be quite so universally obvious a term as ‘robotics’, however I’m relatively certain that most Second Life® residents will understand its meaning without too much thought. It is, of course, the accidental typing of a comment into person X’s instant message box instead of person Y’s. Not just any comment. Let’s be really clear here: simply typing any old innocuous thing into the wrong IM box by mistake is not what I’m talking about at all. That, of course, would be just a benign crosspost, the sort of thing we follow-up with “Wrong window; my apologies” and to which the crosspostee typically responds with a smiley face and a polite ‘lol’. No. For a fatal crosspost to occur, the thing accidentally typed has to be monumentally one of the worst possible things you could say to that person in that moment. For example, a comment about person X meant for person Y. An uncomplimentary comment. As a general rule, it’s unusual for me to make uncomplimentary comments about other people; one might think, therefore, that the law of averages alone would result in the number of benign crossposts made vastly outnumbering the number of fatal ones. This is not the case. 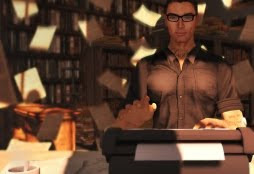 In fact, I’ve found the benign crosspost to be a much less common occurrence than probability would predict based on the mental challenge posed by juggling two, three, even four IM conversations at once. On the other hand, those moments of immense peril involving immature conversations about someone nearby seem to attract the accidental crosspost like gravity attracts matter.